• Keeping ISIS alive as a tool to sustain military pressure on Damascus. • Arming jihadist groups indirectly and (we can assume) directly (albeit covertly) to pressure Assad. 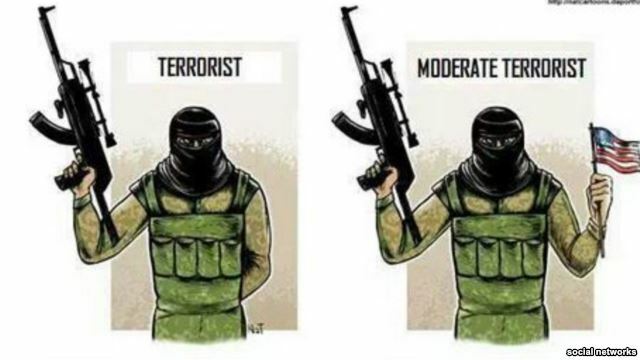 • Seeking to create a moderate opposition that will act as a US partner. • Trying to co-opt parts of the existing Syrian state to take a partnership role in governing a post-Assad Syria. Almost 13 years on from the so-called ‘Operation Iraqi Freedom’, a new UN report has documented the continuing ‘staggering’ violence suffered by civilians in Iraq. According to the report, at least 18,802 civilians were killed and another 36,245 wounded between January 2014 and October 2015, while another 3.2 million people were internally displaced due to violence. 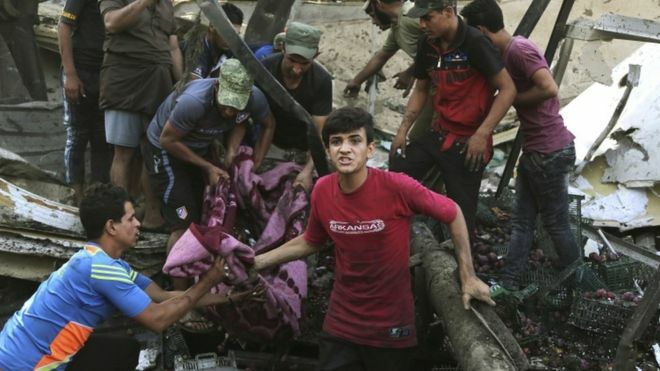 The UN Commissioner for Human Rights has said the death toll in Iraq may even be considerably higher. It is hard to get one’s head round the suffering the people of Iraq have endured since Bush and Blair’s illegal invasion of 2003. Hundreds of thousands of innocent civilians have been killed in the carnage that engulfed the country after Saddam Hussein was toppled. “We’ve moved on from the Iraq war, but Iraqis don’t have that choice,” wrote the great John Pilger in 2013. Yet the very obvious link between the invasion of 2003 and the ongoing violence in Iraq today is something we’re not really supposed to mention. The reality is that Iraq did not see hundreds of thousands of people killed in the years before 2003, but it did in the years following. So it does seem quite reasonable to infer that something quite important happened in 2003 which led to the huge increase in violence. And that ‘something’ is unlikely to have been Arsenal’s 1-0 FA Cup Final win against Southampton. It’s not only in Iraq that ‘staggering’ violence has been unleashed by the US and its allies’ regime change ops. Libya six years ago enjoyed the highest standard of living in Africa. Education and medical treatment were free for all citizens. Electricity was free too. A bursary, worth $5,000 was given to all mums with new born babies. It was also a very safe country for tourists to visit. In 2005, with UN sanctions lifted, it returned to cruise ship itineraries. In 2007, it received one million ‘same-day’ visitors. In 2010, cruises along the coast of Libya were listed in the Daily Telegraph’s ‘Six of the Best’ Exotic Cruises feature. A year later though, the NATO bombs started to fall in pursuit of ‘regime change’ and Libya’s days as a safe place to live, work and visit were over. Muammar Gaddafi’s warning that many of the so-called anti-government rebels were extremists linked to al-Qaeda was dismissed as the ravings of a madman. But it wasn’t the ’mad’ Gaddafi who was telling lies in 2011, but the regime changers in suits. Like Iraq, Libya post-regime change, is a country where violence has become a part of daily life. Earlier this month, around 60 people were killed and over 200 injured in a bomb attack on a police training centre in Zliten. In November, UNICEF expressed concern over the impact that armed-conflict related violence was having on Libyan children- saying that 270,000 children in Benghazi alone needed some form of support. The Foreign and Commonwealth Office (FCO) now advises British citizens against all travel to the country which was listed as one of the ‘Six of the Best’ places to cruise just six years ago. What a truly great job of ‘liberating’ Libya David Cameron and William Hague did! Syria was also a safe place to live, work and visit before the West’s regime changers got going. I travelled around Syria in 1999 and never once felt threatened or in danger. I met some incredibly kind and hospitable people – but no terrorists. As for the lack of theft, I left a bag full of valuables on a table in a canteen at Tishreen University in Latakia, and as my friends assured me, it was still there, with all its contents intact, when I came back. In 2006, Mary Wakefield, deputy editor of the Spectator magazine, travelled to Syria and like so many others, was pleasantly surprised with what she found. “Assad’s Ba’ath party is a long way from Saddam’s. It has lifted the ban on internet access and mobile phones, and ordinary Syrians seem free not just from fear, but from regular Western misanthropy as well,” she noted. A fascinating glimpse of everyday life in pre-war Syria was provided by the BBC/Open University series ‘Syrian School,’ which screened in 2010. “Syria is a country where, from poetry to politics, you can have an intellectual debate. You can re-imagine the world there in a way that we seem to have lost in the West, where even the credit crunch hasn’t dented the orthodoxy of Liberal Capitalism, where “The X-Factor” seems now to have become the cultural pinnacle,” wrote the BBC‘s Max Baring. With its secular government Syria – like Iraq and Libya – was a bulwark against al-Qaeda and similar terrorist groups. In 2006 the Syrian authorities foiled an attack by Islamist militants on the US Embassy in Damascus. The US expressed gratitude, but we know from WikiLeaks that secret plans for regime change in Syria were already being hatched. 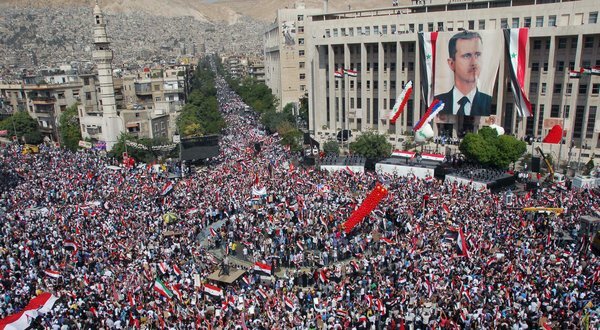 Under the guise of the ’Arab Spring’, regime change in Damascus would be pursued by funding and arming violent rebels hell-bent on overthrowing President Assad. The Syrian government did put forward a new constitution in 2012 which ended the Baath party’s forty year monopoly on political rule and genuine moderates embraced the political reform process. But the regime changers continued to pour petrol onto the fire. In 2013, Britain and France pushed other EU members to lift the arms embargo on the so-called Syrian ’rebels‘. In 2015 the UN estimated that 250,000 people had died in Syria’s war – with more than 11 million people forced from their homes. Today, travelling around Syria simply isn’t an option for Western tourists. The country where you could walk around safely ‘at any time of the day or night’, is now far too dangerous. The FCO advises against ‘all travel’ to the country. Syria, like Iraq and Libya, has been engulfed by ‘staggering’ violence directly attributable to the actions of the Western regime changers, and their regional allies. If these countries had been left alone, it is inconceivable that violence of the scale we have witnessed would have occurred. The governments might have been authoritarian ones which were intolerant of dissent, but the reality is that daily life for the majority of the citizens in the countries concerned was better than it is today. Acknowledging that doesn’t make one an ‘apologist for dictatorship’- just someone who doesn’t try to spin chaos and carnage as ‘success’. In any case, there’s no doubt that some of the crimes of the governments that were targeted for ‘regime change’ were exaggerated, or in some cases even made up by the neocon war lobby. Amnesty International and other human rights organizations found no evidence to back up the NATO claims that Gaddafi ordered his forces to commit mass rapes in 2011. Saddam’s notorious ’people shredder’ was never found and of course those WMDs which we were told could be assembled in 45 minutes didn’t show up either. And here is Amnesty’s annual report on Syria from 2010. It’s hardly impressive, but it’s interesting to compare it to the Amnesty report from the same year on Saudi Arabia, a strong western ally. If you supported ‘regime change’ in Syria on human rights grounds then logically you would have to support the same in Saudi Arabia, whose record on human rights was worse. But the Western regime changers and ’democracy promoters’ weren’t calling for the toppling of the government in Riyadh, showing the hypocrisy of their position. The foundation of Islamic State (IS, formerly ISIS/ISIL), which we’re now told is the biggest threat to Western civilization, was a direct consequence of the invasion of Iraq, and its growth was a direct result of the regime change plans for Syria. WikiLeaks revealed how in 2010, the US rejected an offer from the secular Syrian government to work together against extremist groups like IS. Far from wanting to defeat IS, the regime changers welcomed its rise. The refugee crisis which hit Europe in 2015 was directly attributable to regime change ops too. If Iraq, Libya and Syria hadn’t been targeted, we’d still be able to visit those countries safely as tourists. Most important of all, the people in those countries would still be able to go about their everyday lives without the fear of being blown to kingdom come, or beheaded, for having the ‘wrong’ faith. All things considered, the regime changers have an awful lot to answer for. So it’s hardly surprising, given the blood that’s on their hands, that the warmongers try and maintain the deceit that the ’staggering’ violence in Iraq, Libya and Syria is nothing to do with them. Santa Elena – Journalist Ricardo Duran, official Press Secretary for Venezuela’s socialist government, was shot dead in the early hours of Wednesday morning while arriving at his Caracas home. Upon leaving his vehicle in the residential neighborhood of Caricuao, Duran was shot with a single bullet by an assailant evidently trained to kill, authorities say. “They didn’t take anything from him; not his wallet nor cash, not his cell phone or regulatory weapon, he had a gun permit, and much less his car,” said Caracas Chief of Government Daniel Aponte, indicating that the crime is being treated by investigators as an assassination. The slain journalist was well-known as a former anchorman of VTV state television, and has been described as one of the key figures in authentically reporting the 2002 coup d’état against Hugo Chavez, which many private media outlets presented as a resignation. Duran received a National Prize for Journalism in 2009 in recognition of his work in radio, and previously held the post of Director of Communications for the National Assembly. That’s the length of the sentence this 59-year-old peace activist in upstate New York began on Tuesday — one day after the United States honored Dr. Martin Luther King, Jr., for his commitment to nonviolent civil disobedience. If he were here today, the martyred Dr. King would surely be shaking his head that America still has a problem with peaceful dissenters of conscience. And what exactly did Grady Flores do to warrant spending the next six months in jail? She photographed a peaceful protest outside Hancock Field Air National Guard Base near Syracuse, New York. The base is where the US trains pilots to launch drone strikes in the Middle East, particularly in Afghanistan, Pakistan and Yemen. It wasn’t a crime for her to be taking pictures of the demonstration, but when she briefly and unintentionally — yes, unintentionally — stepped onto a road that belongs to the base, she violated what authorities called “an order of protection,” which had been issued in 2012 to forbid protesters from approaching the home or workplace of Col. Earl Evans, a commander of the 174th Attack Wing of the Air National Guard. She had never met Evans, never threatened him, never showed any intention of harming him. Now get this: The order issued by Judge Gideon was of the sort commonly used against victims of sexual or domestic abuse. “The legal terms ‘victim’ and ‘witness’ have been expanded in this case in a way that’s new and unique in the state of New York,” said attorney Lance Salisbury at a press conference yesterday before Grady Flores was hauled off to jail. President Obama and the Pentagon insist that using drones in pursuit of terrorists causes minimal civilian casualties and protects American troops, but Grady Flores takes issue with that justification. She told us she had been moved, in particular, by reports of the staggering numbers of civilians killed by US drones, and she says her fears were confirmed by documents recently leaked to journalists at The Intercept revealing that during one five-month stretch, 90 percent of those killed in one part of Northeastern Afghanistan were not the intended target. Grady Flores says she was also shaken by the 2013 testimony before Congress of a family from Pakistan that had suffered a drone strike in North Waziristan. A grandmother of three herself, Grady Flores listened as Rafiq ur Rehman recounted his mother’s death in the presence of her grandchildren. “She was out in the fields picking okra with the kids around and a drone strike happened, and she was sent to four winds… now the kids live in terror,” Grady Flores recalls. Grady Flores was arrested in 2012, when she and 16 others blocked the entrance to the base, prompting the request from the military for the order of protection. When she was arrested again a year later — not for protesting herself but for stepping on the road outside the base and taking pictures of others who were protesting — she was found to be in violation of that protection order. And the protestors she was photographing? They were acquitted. Terrorists have increased their activities ahead of the next week’s inter-Syrian talks, with terrorists in the Syrian province of Aleppo receiving reinforcements from Turkey, Russia’s Foreign Ministry said. The increased activity of the terrorists was witnessed in several suburbs of Damascus, Homs and Idleb provinces of Syria, she added. 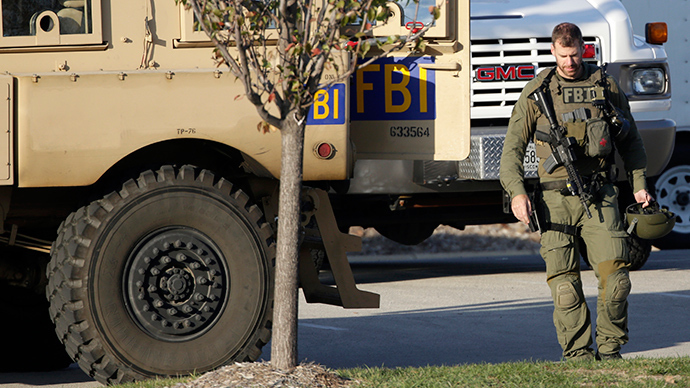 The Justice Department and the FBI have targeted American Muslims in“abusive” counterterrorism sting operations based on religious and ethnic identity, according to the new report from HRW and Columbia University Law School’s Human Rights Institute. The study found that many of the over 500 terrorism-related cases since the War on Terror began in 2001 have alienated the communities that the government should rely on to prevent terrorism. The HRW report “accordingly stops short of drawing systemic conclusions,” the Guardian reported. It found four high-profile terrorism court cases that it did not find any problems with: the 2013 Boston Marathon bombing; Najibullah Zazi’s 2009 plot to bomb the New York subway; the attempted Times Square carbombing of 2010; and the 2002 shooting at Los Angeles International Airport’s El Al counter. Prime Minister Zionist David Cameron has told representatives of the UK’s Jewish community that he intends to “mark” with them the centenary of the Balfour Declaration next year. Zionist Cameron met members of the Jewish Leadership Council (JLC) on January 13, in what has become an annual meeting. The JLC is an umbrella body made up of over 30 Jewish communal organisations. The fact that it was the Americans who were driving the push for a greater military commitment by Australia did not form part of the letter to the Security Council, and neither was it mentioned by Ms Bishop on 16 November 2015 when she told the ABC why Australia was going to join the bombing of Syria. Most people around the globe are relieved by the prospect of peace following the lifting the embargo against Iran. Two groups, however, are not so happy. The Saudis and the Jews. The Saudi unease is based on geopolitical terms: Sunni/Shia conflict, oil market competition, and so on. However, it is puzzling that NY Jewish leaders are pretty upset by the prospect of putting this never ending conflict to sleep. “We call on governments to make it clear – to their countries’ business sector – that the JCPOA does not represent a return to ‘business as usual’ with the world’s leading state sponsor of terrorism. A range of tough US sanctions, which AJC supports, remains in effect; Iran’s non-nuclear activities, which are ongoing and destabilizing, are subject to continued – and likely escalating – sanctions,” read a statement by AJC on Sunday. The AJC and the ADL are apparently concerned with ‘human rights’ issues. Both pointed to “Iran’s on going human rights abuses and expansionism in the Middle East, in part through proxies like Hezbollah.” One would actually expect these Jewish organisations to deal first with the inhumanity of their Jewish State that’s a leading force in abuse of human rights, brutal racism and expansionism. 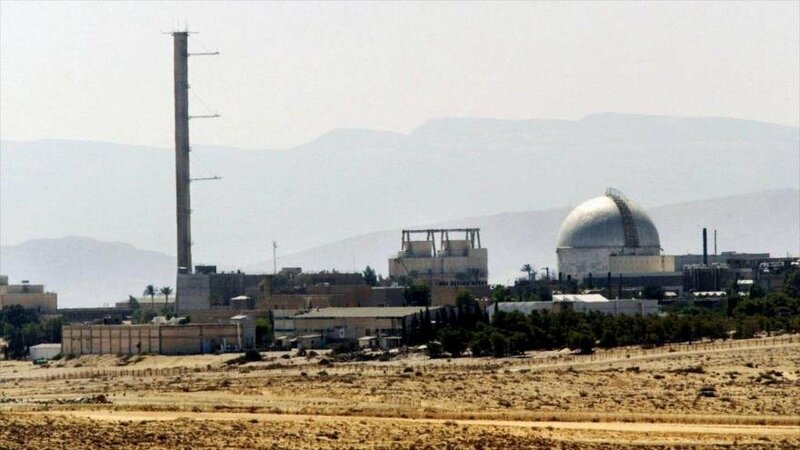 B’nai B’rith, yet another Jewish American institution, said the US decision to slap sanctions on Iran over its ballistic missile tests last October and December reinforced their skepticism about Iran’s willingness to go forward in compliance with the JCPOA. Seemingly American Jewish institutions are collectively distressed by the resolution of the conflict with Iran. Peace and reconciliation must be foreign to their lexicon. Perhaps someone should take a second and explain to these intrusive foreign lobbies that for America and the West, Iran is the last hope for stability in the region. Iran is the only regional power that can help to reverse the disaster created by the Jewish State and its lobby. But then it is not surprising to find Jewish lobbies locating themselves at the forefront of the pro war camp. As I have been saying for years, shalom doesn’t mean peace, it means security for the Jews. American Jewish lobbies such as AJC, AIPAC, ADL and B’nai B’rith appear convinced that America fighting Iran is good for the Jews. However, it seems that, contrary to the wisdom of its Jewish lobbies, the American administration eventually gathered that peace is patriotic.